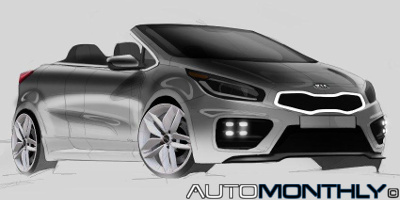 Will Kia create a cabrio version of the pro_cee'd GT? 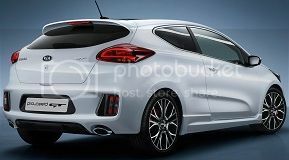 Peter Schreyer, President of Kia Motors and Chief Designer Officer for both Kia and Hyundai, recently said that the Korean automakers needed a halo car to make the brand more known among the younger audience. This is relevant because of the sketch you can see above (and below), indicating the halo car Peter Schreyer was talking about, could be the cabrio version of the pro_cee'd GT.